The ICMFS-2018 will take place on the campus of the University of California Santa Cruz. 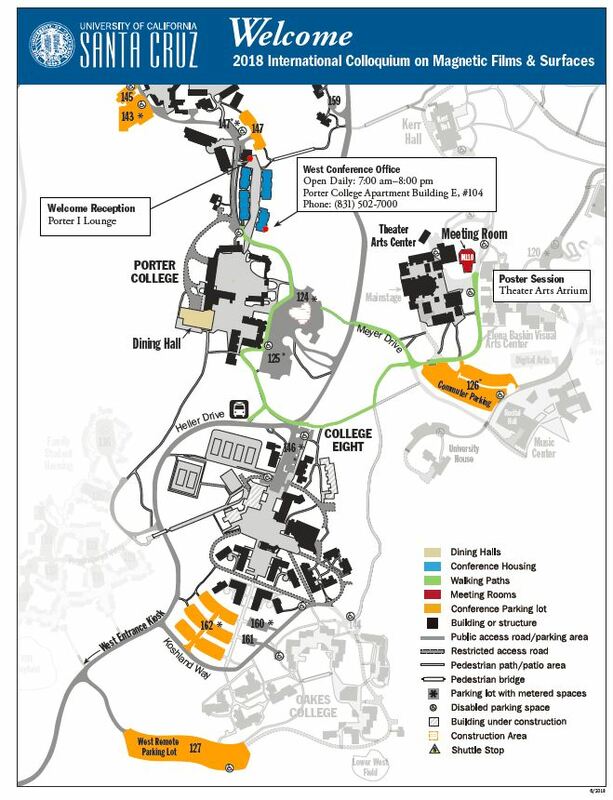 Housing for the participants, including dining will take place in the Porter College. The technical sessions are just a few minutes walk away. The oral sessions will be held in the Theater Arts auditorium and the poster session will take place outside of the auditorium.